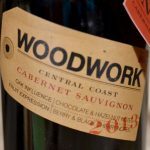 This post is in collaboration with CK Mondavi and Family wines. All opinions are my own. Summer is BBQ season, and nothing says BBQ like a delicious burger. Brad and I are getting ready for a super fun BBQ this next week fro the 4th of July; what started as a couple friends coming over has turned into an invite list of almost 20 people! We love throwing burgers on the grill for parties like these, and I think that these burgers would be the perfect main dish for the party. Each year on the 4th of July we get together with good friends for a BBQ, I’m excited that this year we have a potential for some sunny weather. 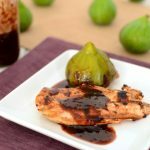 I had originally thought about making a delicious fig glaze; however, the figs in our front yard aren’t quite ripe, so I decided to try something with some dried dates. 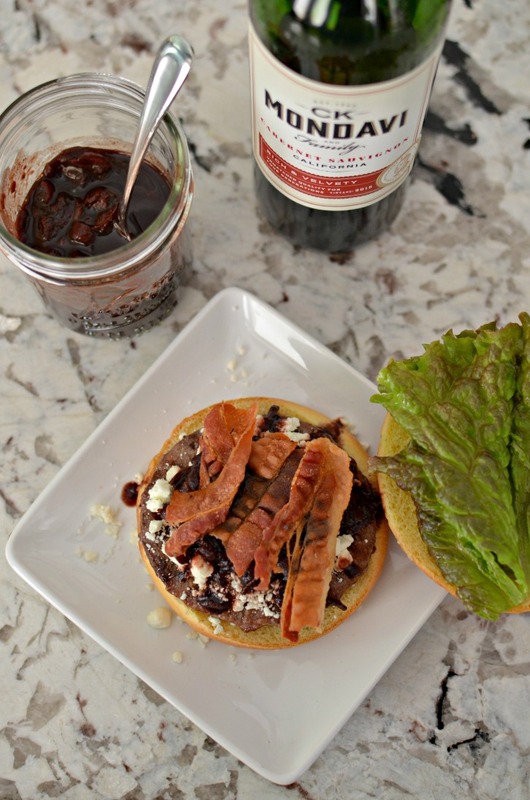 These dates paired so well with the CK Mondavi and Family Cabernet Sauvignon and Balsamic Vinegar to form a delicious compote to top this burger. 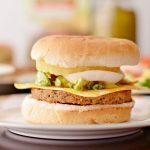 A delicious burger that is perfect for summer BBQs. Add chopped dates, CK Mondavi and Family wine, Balsamic Vinegar and sugar in a sauce pan over medium heat. The CK Mondavi and Family bottles were redesigned recently which now feature flavor descriptions right on the front of the bottle (make sure to check out these new bottles in store now). The Cabernet Sauvignon description is “rich and velvety” which I thought would go perfectly into a delicious burger topping. This burger turned out absolutely delicious. 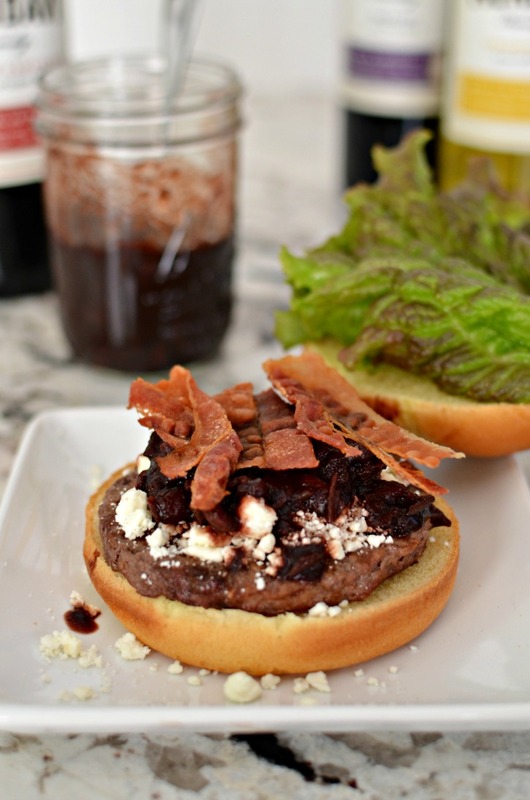 The compote goes so well with the feta, and bacon is always a welcome addition to any burger. CK Mondavi and Family is now in their 4th generation of family winemaking and it has always been their dream to offer delicious wine at a low price. 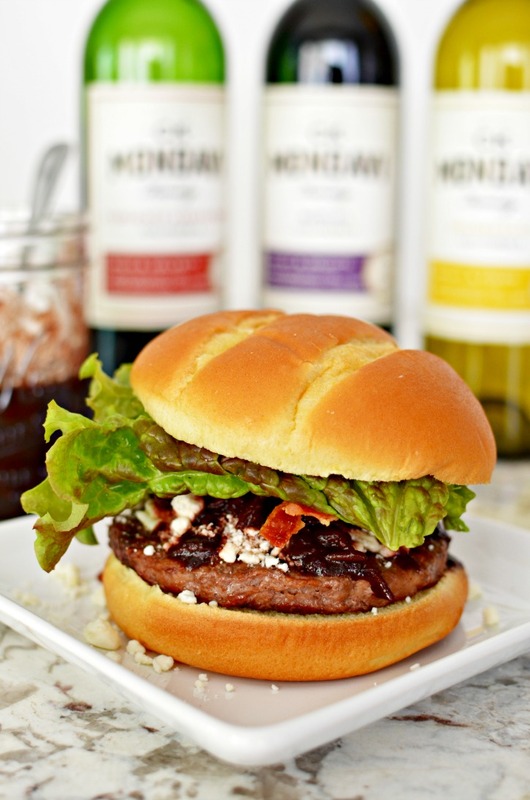 This summer, make sure to check out the CK Mondavi promotions for burgers, buns, cheese, and charcoal in your local grocery stores – essential items to have all summer long. Brad and I have just about finished this jar of red wine and date compote, so I’ll definitely be making another batch before our BBQ on Tuesday. In addition to using the wine in the compote, this Cabernet Sauvignon was delicious to enjoy while eating the burger. 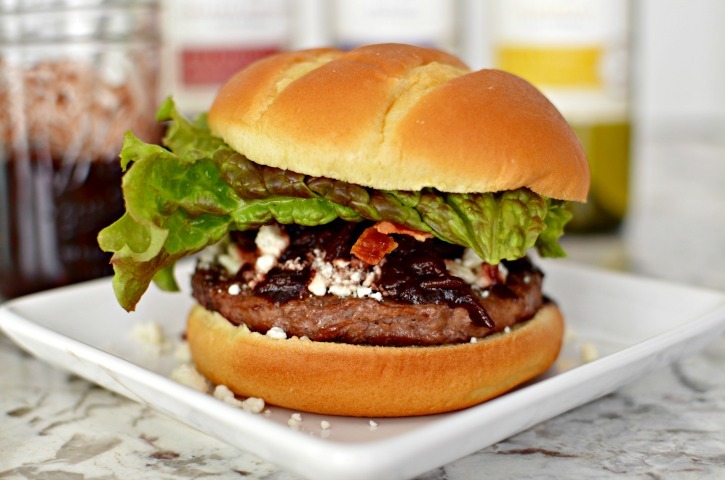 The rich flavor pairs well with the juicy and flavorful burger, and creates a delicious dinner. Do you have a favorite way to enjoy your burger? Make sure to learn more about CK Mondavi and Family on Facebook, Twitter, Instagram, Pinterest, and Youtube! I’m really digging this recipe! There are so many components that my husband and I both enjoy! 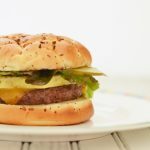 I might have to make these burgers soon! This looks and sounds amazing!! My husband would totally enjoy this. Um yum! I definitely would not have thought of doing this! i am obsessed with your compote! Love it and can’t wait to try it this BBQ season! Pinned. What a great Burger! Thanks so much for sharing with us at Full Plate Thursday, have a great weekend and come back soon! What a great idea for a match with a burger. Your party sounds like a complete success with food such as this. I really like that it doesn’t have much added sugar, dates are sweet enough. We love goat cheese stuffed dates wrapped in bacon and this sounds like a variation. I think everyone loves a good barbecued and the compote sounds delicious! What a lovely treat for your guests! :) Thank you for sharing this at Fiesta Friday!